The .357 SIG is the product of Swiss-German firearms manufacturer SIG Sauer. This popular round is a favorite with a number of law enforcement agencies due to its reputation for accuracy. All of UMC handgun ammo is American-made in Lonoke, Arkansas and uses factory fresh brass and Kleanbore primers. It’s hard to find a better value. These rounds are manufactured by the legendary Remington Arms Company. They are brass-cased, boxer-primed, non-corrosive, and reloadable. 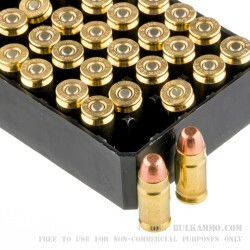 These are a staple target practice and range ammunition used by many law enforcement agencies and avid shooters. 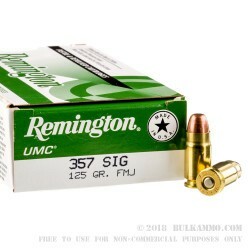 These.357 SIG Ammo by Remington - 125gr FMJ are affordable loads for the high-volume shooter. These are ideal for practice, target shooting or training exercises, and a budget friendly personal defense round. With a muzzle velocity of 1,350 FPS and a muzzle energy of 506 ft.-lbs, these are a good solid round for just about anything. 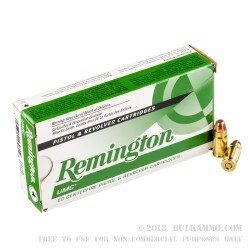 Remington and the Union Metallic Cartridge Company (UMC) have been putting out some of the finest ammo made in the United States for almost 140 years. Remington Arms and UMC merged in 1912, and the company manufacturing complex in Bridgeport, Connecticut became a major arms supplier during World War I. Just received my 357 sig ammo today. I haven't yet got a chance to cycle a few rounds through my sig, but the ammo looks great! The price was competitive to other suppliers on the internet, and was shipped to me in a timely manner. 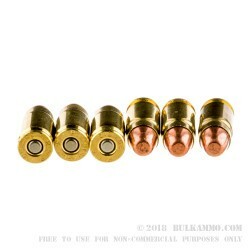 The only thing I wish Bulk ammo offered is optional shipping delivery. Thanks again bulk ammo, and you guys ROCK! !